This intriguing novella may be the shortest I’ve ever read, but it was long on enjoyment. The lovely Marcia has flirted her way through three seasons, never encountering anyone she’d care to marry. She longs for a great love and adventure, and is happy to just enjoy life, and remain single until she finds it. Marcia’s parents, however, have a different idea. When the Duke of Lisle makes an offer of marriage, they accept, and inform Marcia that she is to be wed soon. Marcia, who has never even met the duke, is crushed as she wanted a love match, not a stranger. In the past, she has managed to get her way by manipulating her parents, but in this, they are firmly united in their decision. Though they aren’t being intentionally cruel, they want to see her settled. And, after all, he’s a DUKE! The arrogant duke, though, is too busy to meet her right now. He can only fit two events in his busy schedule to make her acquaintance before their wedding. Soon, gifts begin to arrive for Marcia, not from the duke, but a man just identifying himself as her admirer. At a ball, the mystery man finally approaches her, but in a way that she can’t clearly see him. However, she can feel him, and his kisses. More gifts arrive, and more secret encounters occur. Marcia is smitten by her secret admirer, though she has yet to actually see his face. 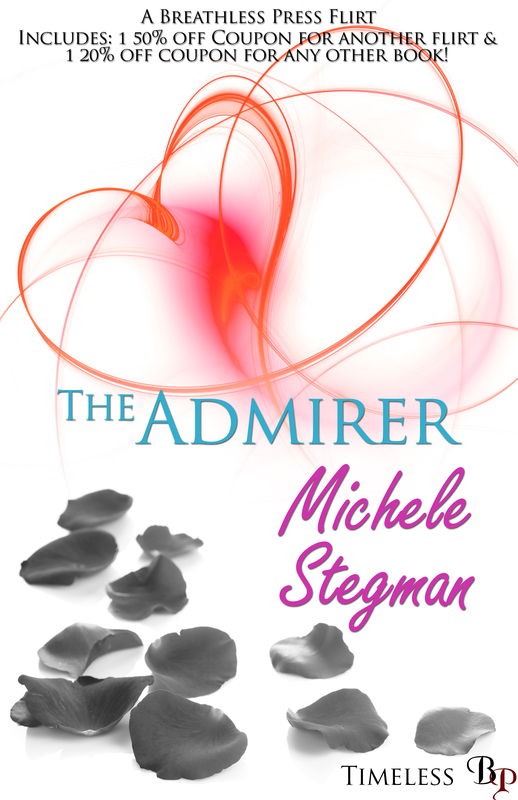 Eventually, she meets her fiance, who appears just as arrogant and condescending as she imagined. He takes his time strolling across the floor to meet her, and shows no particular regard, acting almost bored, and very highbrow. How can she possibly wed this man when she is falling in love with another? I found myself not liking him overly much. Marcia has a choice to make. Her mystery man has offered to whisk her away before her wedding. She’s found her heart’s desire, but how can she live with ruining her parents’ hopes? I give Marcia credit for recognizing the damage jilting a duke will do to her reputation. She’s kind enough to care about how this would affect her parents. The mystery man has been clever enough to appeal to Marcia’s desire for adventure, as well as to her emotions. I enjoyed this quick and delightful read. Though short, the story was detailed enough to let me get to know the heroine, and feel her anguish over duty versus romance. And though a mystery, the Admirer was very appealing. He also made me wonder just exactly what it was he was hiding. The twist at the end leads to a satisfactory happy ever after, and I guarantee it will leave you smiling.